Double Grammy winning record producer Christopher Bishop talks about David Munrow on the record on my programme on Future Radio this Sunday (Dec 30) at 5.00pm UK time. 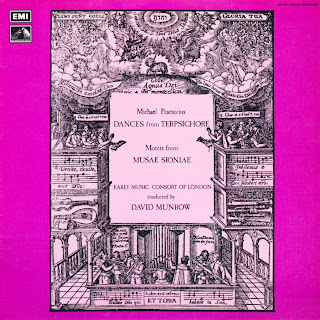 The programme includes music from Munrow's first LP for EMI, Two Renaissance Dance Bands, which is seen above and which was produced by Christopher Bishop. 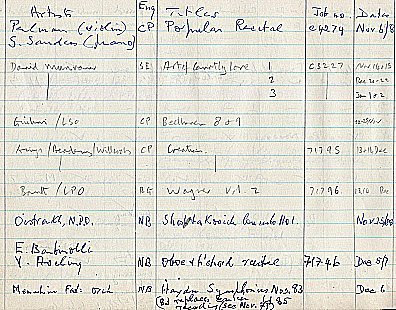 Below is a page from Christopher's recording diary, the second entry down is the sessions for another classic David Munrow album, The Art of Courtly Love. 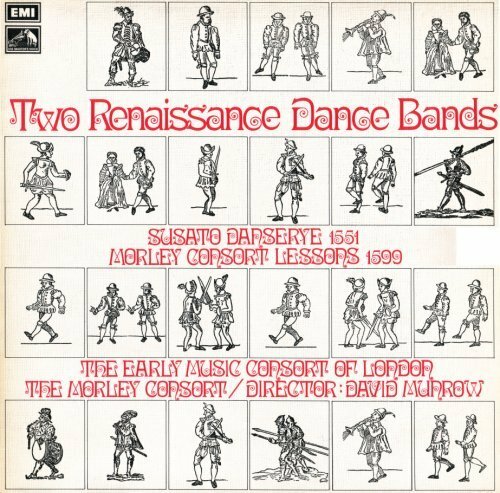 Now playing - Renaissance Dance. 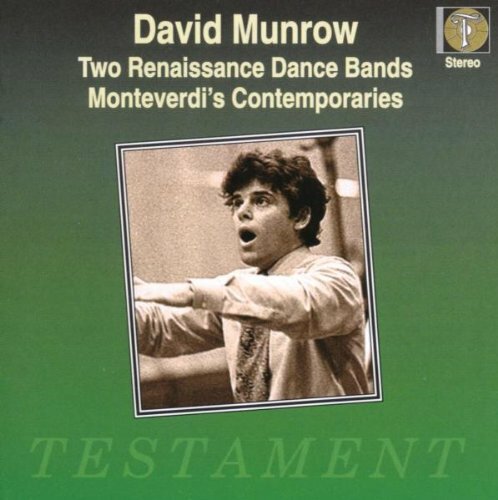 This new Virgin Veritas double CD brings together two classic David Munrow LPs, Two Renaissance Dance Bands from 1971 (later reissued as Pleasures of the Court) and Praetorius - Dances and Motets from 1973, and adds five bonus tracks from Munrow's last recording, Monteverdi's Contemporaries, from 1975. This is a must for all Munrow enthusiasts, and a perfect introduction to his music for those too young to have grown up with his LPs. Current price on Amazon.co.uk is £5.97 ($12) - unmissable. Listen on Future Radio at 5.00pm UK time this Sunday, December 30th in real time here. An Overgrown Path podcast will follow. Read more about David Munrow on the record here.